Paddle or deep sea dive? 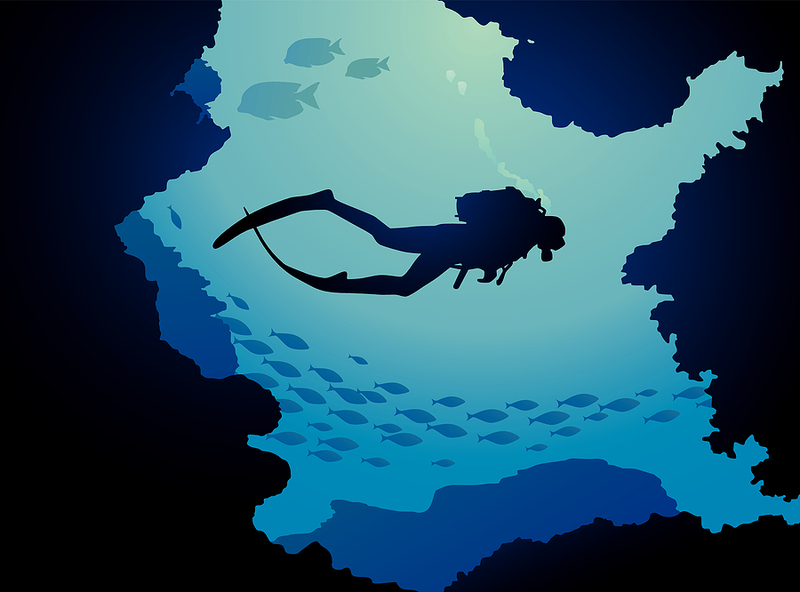 Do you prefer to paddle or deep sea dive? Woah! Look at all those fish! A bunch of brain boxes from the American Sociological Association studied data pools from a number of anonymous dating sites and came across some interesting findings. Unsurprisingly, they found that the attractiveness of the photo was the most important trait for both sexes. (Pssssstttt…...Feel free to check out my advice on photo uploads here). After this, men’s height is the most important feature for women whereas for men, a woman’s body mass index is most important. According to the results, showing that you have a bachelors degree doesn’t help ladies, and guys; showing you have a masters also does nothing to increase desirability. The ASA boffs also found that the faster someone replied to an initial message, the more likely he or she is likely to get a follow up message. There is a part of the research that particularly interests me as it correlates strongly to our own ethos . It states that ticking all the correct boxes for each others favourable attributes online will not make you both soulmates. This is in fact to do with the interaction off-line. So, as interesting as this research may be, I am not sure whether I agree with all of it. I mean… No bloke has ever asked me for my body mass index thank you very much! Cheeky! Are people really looking for a certain type online? A friend told me that she came across a guy whilst swimming in another online dating pool (OK, i’ll stop with the metaphor overkill now! :)) who would only think about dating a girl with blue eyes. I’m sorry but what the….! Surely this is way too specific? If you were chatting to someone in a bar and the conversation was flowing but suddenly he/she interrupted; “errr sorry, I thought your eyes were blue…we are simply not gonna work”, you would probably be relieved to escape the fruitcake! So what do you think?…When searching our great big ocean of opportunity, do you have an open mind or are you scouring the ocean for something a little more specific? If so, what are you looking for? For me, I like the person to have a good sense of humour. If they can make me laugh, I will be into them. I have to admit the picture is very important though. I would not proceed unless I found their picture attractive. The specific desire for blue eyes is a little mad. Sense of humour is definitely very attractive. I think we have to be honest and say with online dating, the picture is the first thing someone will notice. May sound a little shallow but it’s probably true! Yup, I think he may have been slightly odd! Luckily my friend has green eyes! Yeah – too often have I chatted to someone for a while and then been disappointed with the picture. Picture first, chat later! A pal mailed this link the other day and I’m eagerly awaiting your next content. Carry on on the first-rate work.